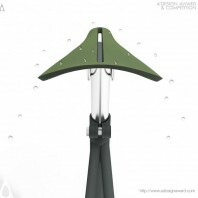 Brook S. Kennedy, the author of the displayed design Brook S. Kennedy's Folium Water repellant bicycle saddle explains, Folium is a Biomimetic water repellent bicycle seat design enabled by emerging nano technology materials. 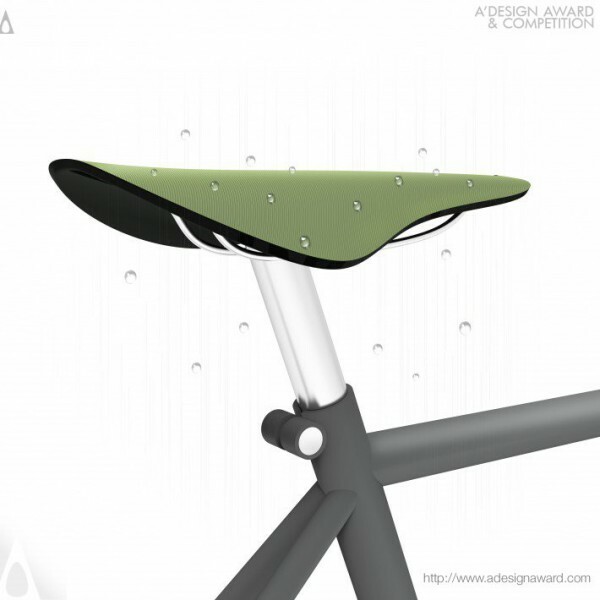 Bicyclists worldwide struggle to keep their bicycle seats dry and comfortable when it rains. 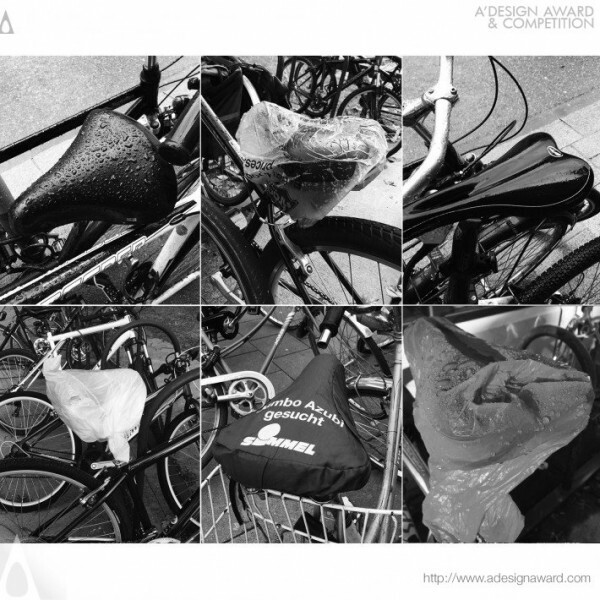 As a result, unattractive, awkward plastic grocery bags or fabric covers are used to keep their bike seats dry. 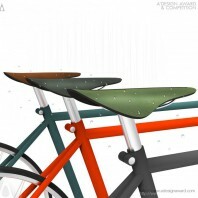 Sometimes rain discourages bicycling altogether. 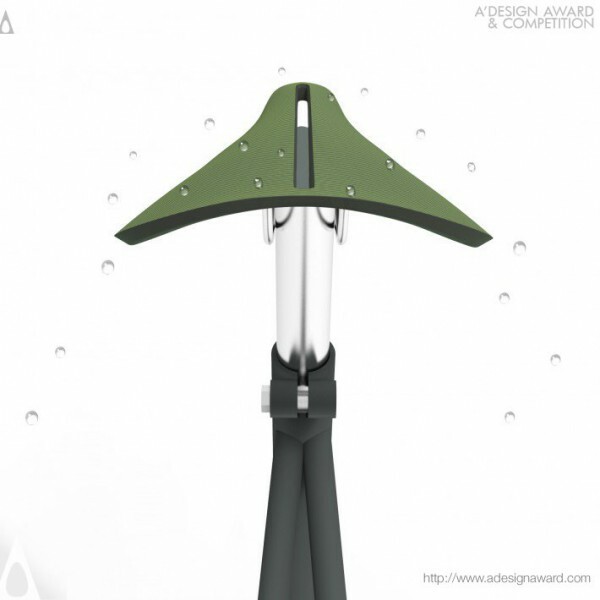 Folium&#039;s design encourages water drops to roll off. 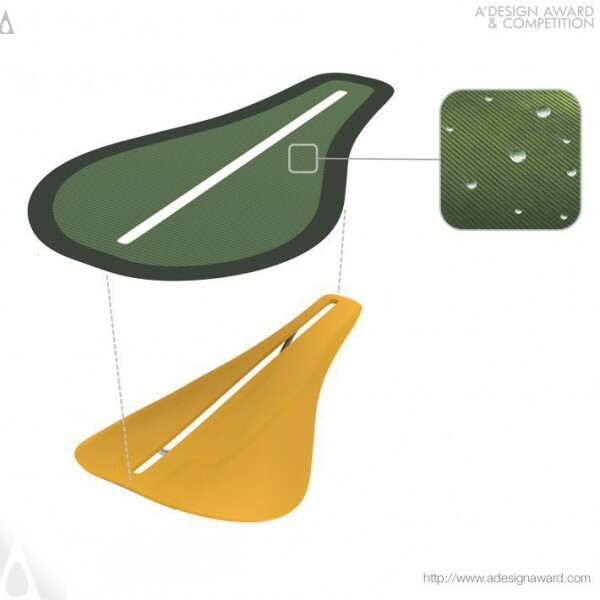 Inspired by Lotus leaves which repel water during Monsoon rains, Folium&#039;s surface material is engraved with a microscopic surface texture similarly to Lotus leaves and others plants..